1. 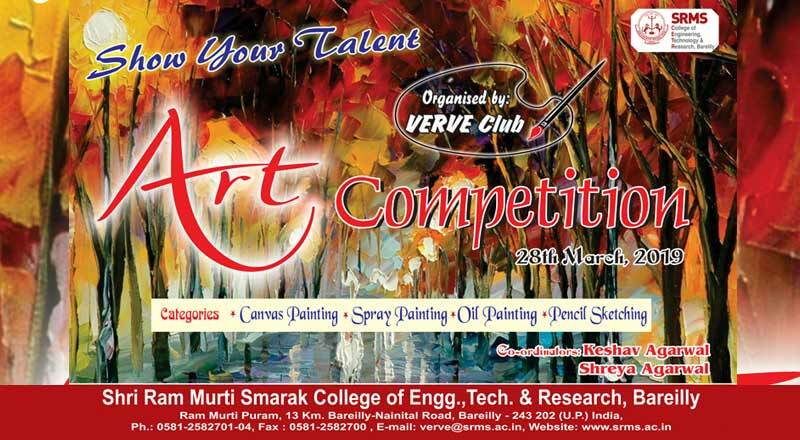 Two hours (from 2:20pm to 4:20pm) allotted for participants to show their creative talent, students have to reach by 2:00pm. 2. Students have to bring their own items (pencil, sharpener, eraser etc. ), drawing chart will provided to them. 3. Don’t use sketch pens, crayons, pencil colors and water colors. 4. Do not write anything on painting; just give your message through your sketch. 5. No second sheet will be provided. 2. Students have to bring their own items (gadget printing, spray colors, spray gun etc. ), canvas will provided to them. 3. Do not write anything on painting; just give your message through your painting. 4. No extra canvas will be provided. 2. Students have to bring their own items (oil colors, water color, palate, brushes etc. ), Canvas will provided to students. 3. Students can also use their finger or thumps for canvas painting. 4. Do not write anything on painting; just give your message through your painting. 5. No extra canvas will be provided.